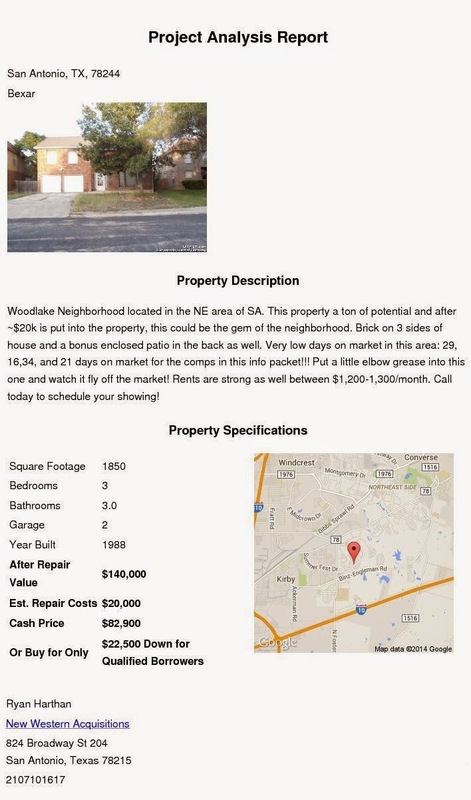 Woodlake Neighborhood located in the NE area of SA. This property a ton of potential and after ~$20k is put into the property, this could be the gem of the neighborhood. Brick on 3 sides of house and a bonus enclosed patio in the back as well. Very low days on market in this area: 29, 16,34, and 21 days on market for the comps in this info packet!!! Put a little elbow grease into this one and watch it fly off the market! Rents are strong as well between $1,200-1,300/month. Call today to schedule your showing! Contact Ryan Harthan at 210-710-1617 for more information.